The sequel to the game that was never finished. 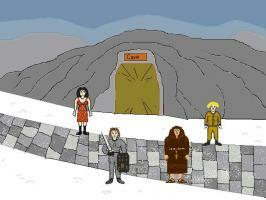 Adventure quest 2 continues the travels of Bryan, Brenda and Tealeaf, this time joined by a Cleric called Derek. 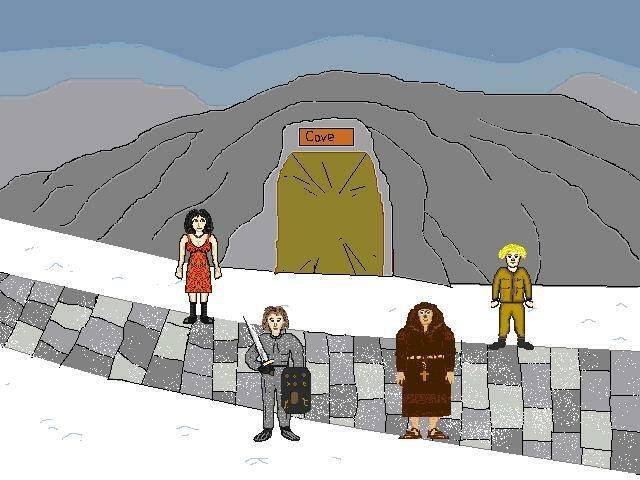 A cross between an RPG and a point and click adventure, the Demo features 5 finished rooms with puzzles, a working turn based battle system, changeable weapons and armour, Items that can be used in battle and lots of orcs to kill. Please note - the bug stated in the comments below, has been fixed. I enjoy the character interactions, but perplexed as to how to get through the locked door. I also had trouble with the text font not fitting where it should be. Could turn into a good game if developed. Buggy... go one screen right and then go back again, and you can't move.